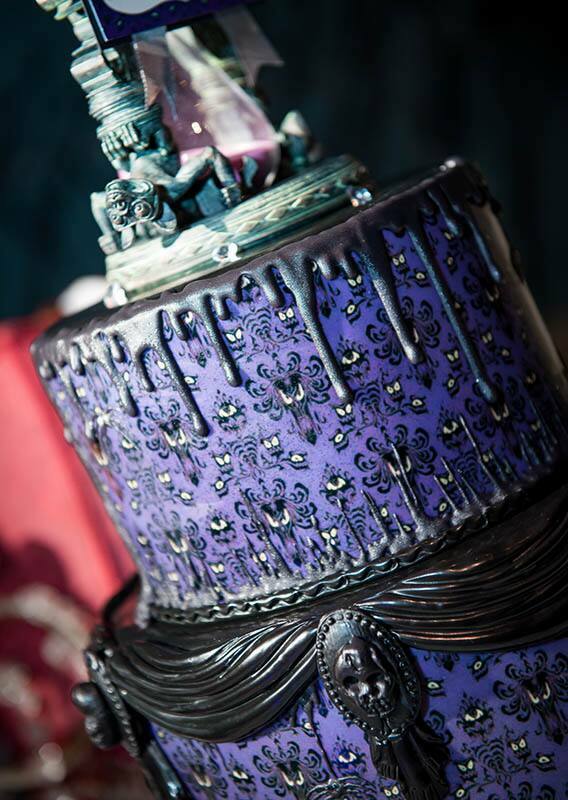 You're in for a ghoulish treat with today's Wedding Cake Wednesday. 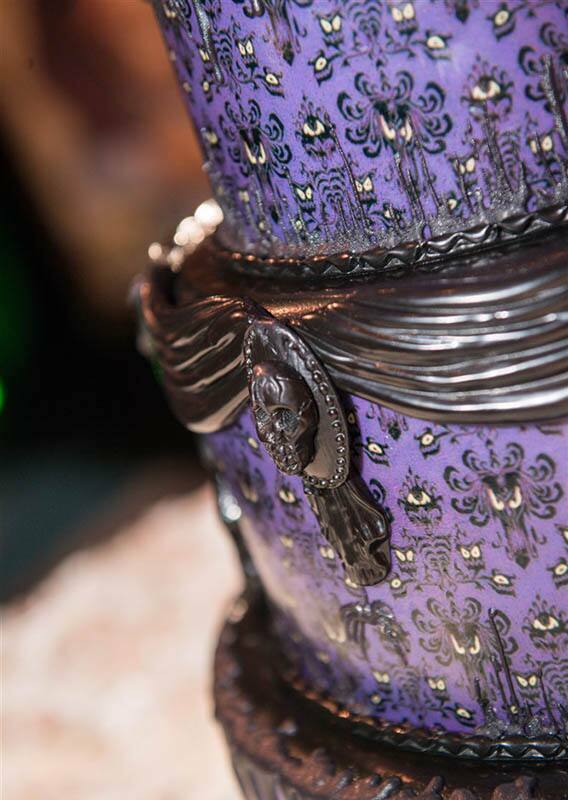 The cake was inspired by one our favorite Disney attraction filled with spooks and happy haunts, The Haunted Mansion. Each of the three tiers is wrapped with the iconic wallpaper found on the walls while dark elements of piping and draping add an eerie touch. 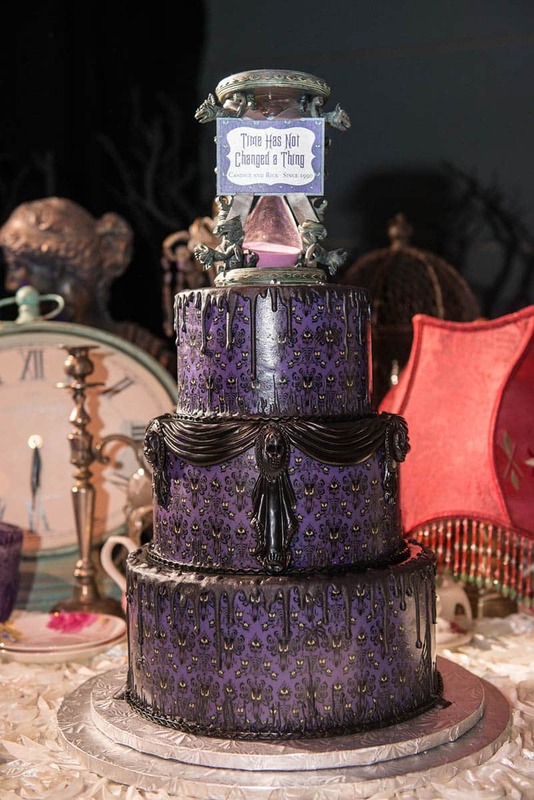 The hourglass cake topper ties together the frightful design and is perfect for a vow renewal celebration. "Time has not changed a thing."